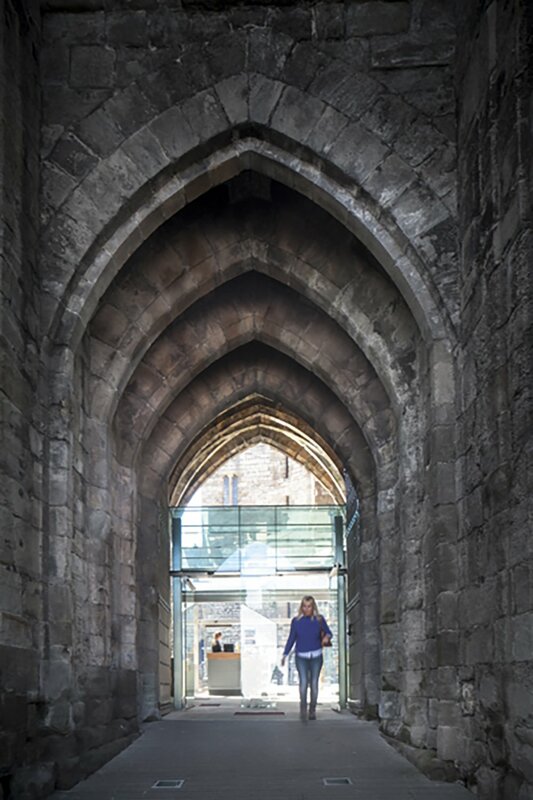 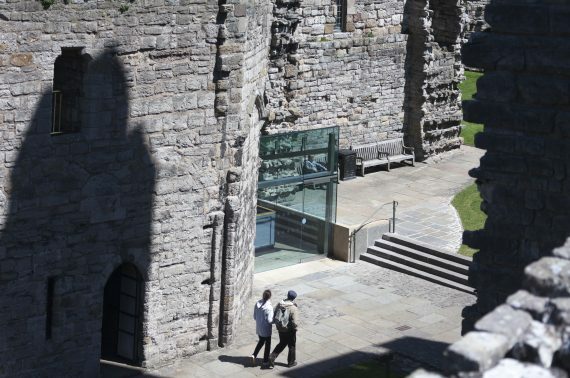 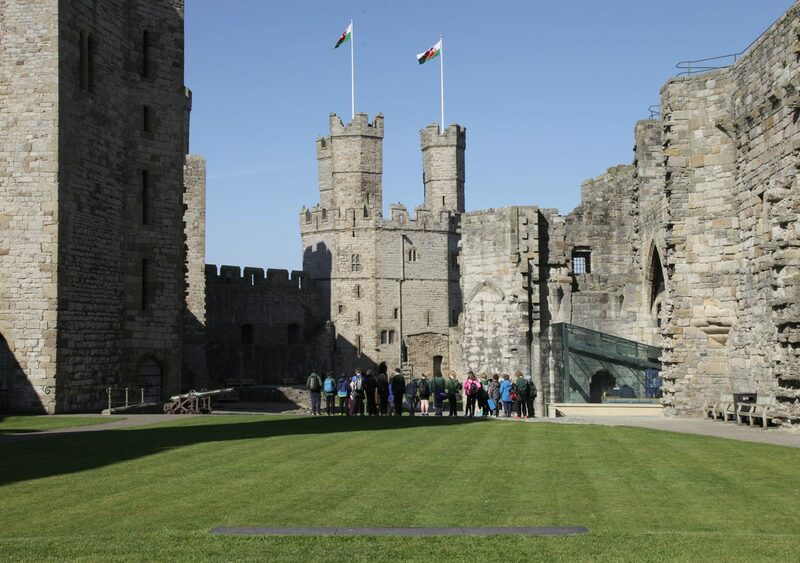 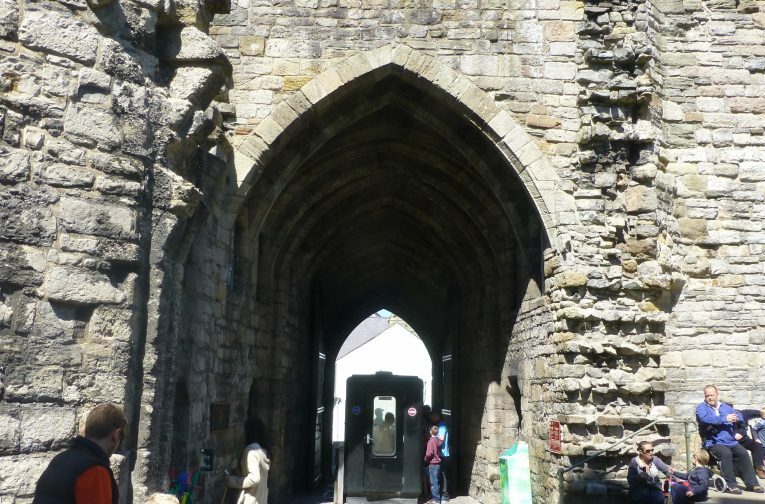 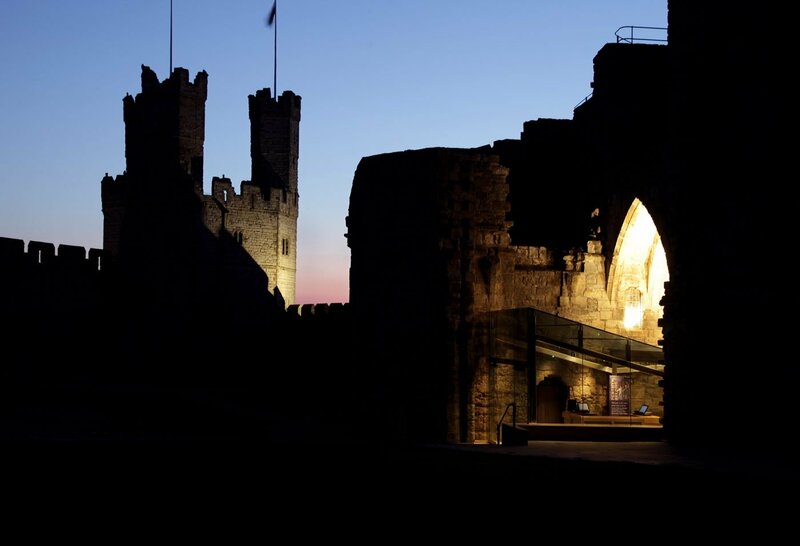 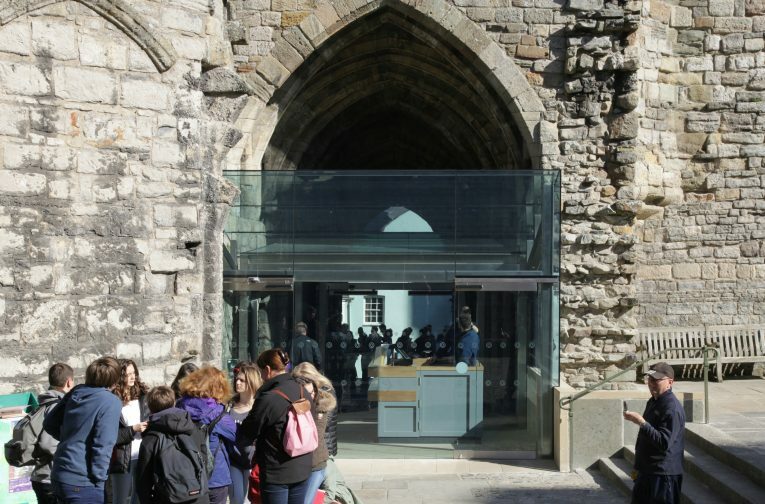 As part of an ongoing review of the Cadw estate, it was identified that visitor access to Caernarfon Castle was somewhat restricted by the original arrangements. 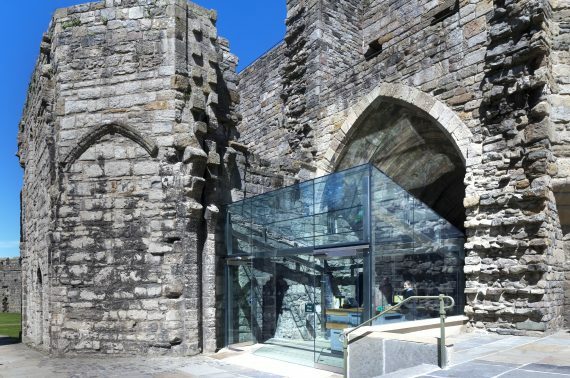 A modern approach was considered appropriate for a new visitor entrance for this Scheduled Monument and World Heritage Site. 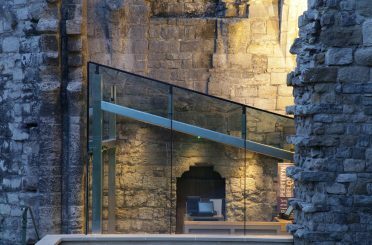 Donald Insall Associates was appointed to design a new entrance and ticketing facility as architect and lead consultant for the project. 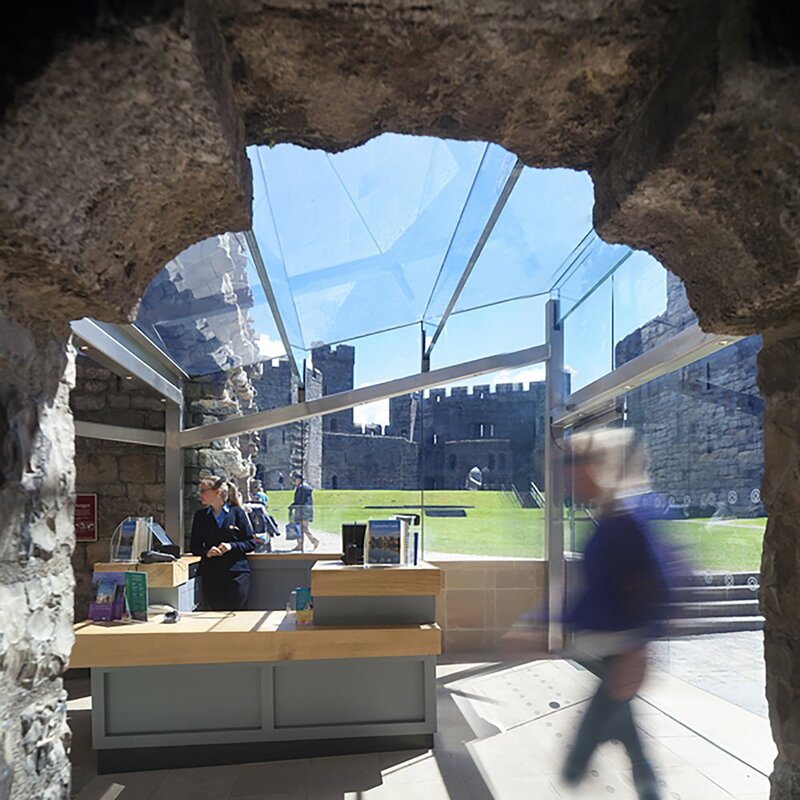 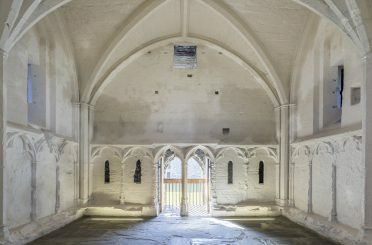 The new modern structure sits independently within the existing archway of the King’s Gate entrance and the old hall site. 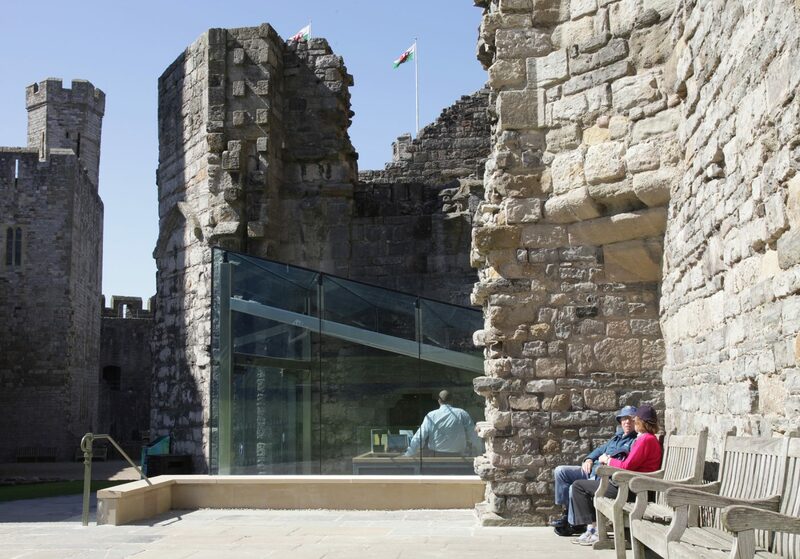 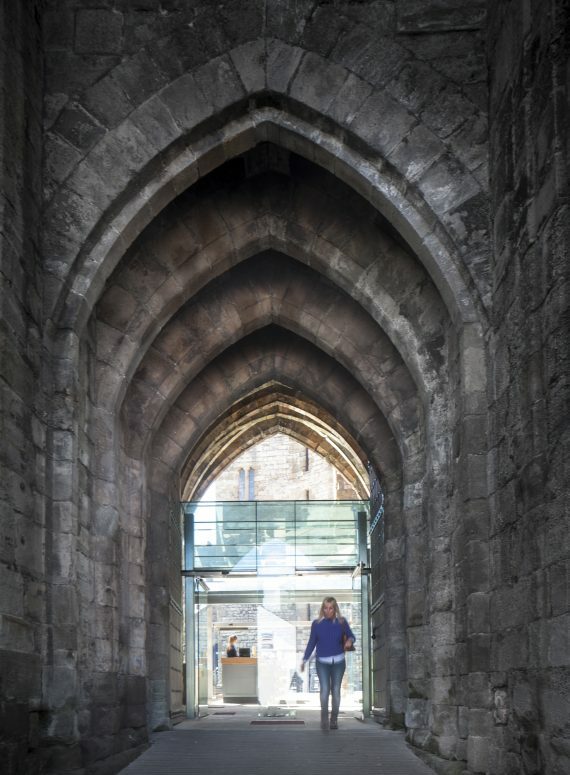 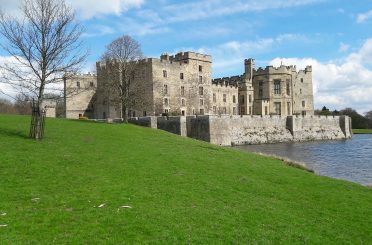 Complementing and contrasting with the existing ancient structure as well as the modern pedestrian footbridge, the facilities improve access for all visitors to the castle. In working through this process we have built good relationships with the local authority as well as Cadw’s interpretation team and local residents.